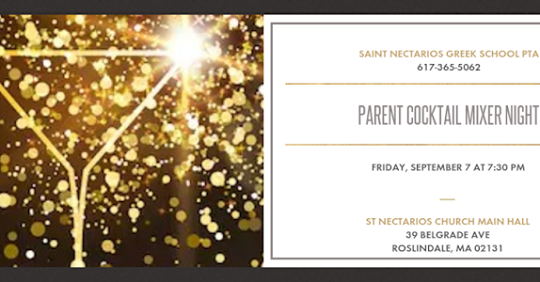 The Saint Nectarios Greek School PTA invites you to a cocktail mixer to learn new information regarding the upcoming school year. *Meet The New PTA Board Members. *Meet and Greet Your Child’s Teacher. *Advising All New And Returning Parents To Attend This Wonderful Gathering To Learn More About The 2018/2019 School Year.